Grand Daddy Purple is a very distinctive form of marijuana, first created by Ken Estes in San Francisco and hugely popular across the West Coast. Loved for both its exotic coloring, and intense body-stone effects, it’s enjoyed by both recreational and medical users, helping to aid relaxation and sleep. 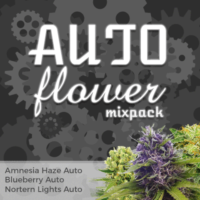 A pure Indica variety, that’s very versatile and easy to grow, great for beginners and the more experienced grower alike. Grand Daddy Purple is perfect for both Sea-of-Green and Screen-of-Green growing techniques. 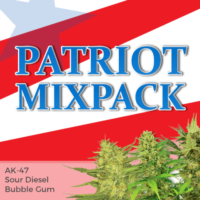 A very easy strain to grow, with a natural resistance to many common pests, bugs and diseases that can attack the plant throughout various stages of its life. Flowering times can vary between plants, with some mature at 8 weeks, while others may require up to 11 weeks to completely ripen, depending on the climate and conditions. Both Sea-of-Green and Screen-of-Green growing techniques can be utilized to enhance yields, which can average approximately 14 ounces of high quality buds indoors, or up to 17 ounces per plant, when maturity occurs mid-October, if grown outside. Grand Daddy Purple feminized marijuana seeds are a joy to watch flower, changing color as maturity approaches. Easy to grow, providing great yields for growers of all levels of experience, in fact it’s hard not to recommend them. 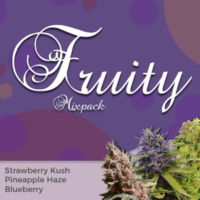 Now included as part of our feminized collection, you can buy complete packs of 5, 10 and 20 seeds all sold with the best stealth postage and packing included in the price. 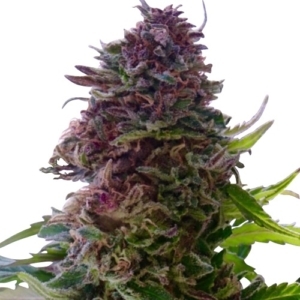 Purple colored buds with great bag-appeal and a potent ‘body-stone’ effect. THC levels of 23% ensure a knock-out stone, that can be ‘couch-locking’ and extremely relaxing. Low CBD levels make it a preferred choice of recreational smokers, but its ability to sedate and relax, provides medical benefits for sufferers of insomnia, stress and pain. 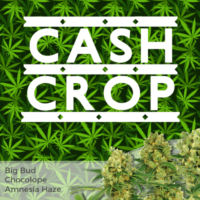 With purely Indica genetics, Grand Daddy Purple, or GDP as it’s often known, is a dense, squat plant that forms a large, round, bushy shape. The sweet berry, fruit aroma and flavor can often lead to feelings of hunger, making it a natural remedy for many eating disorders and feelings of nausea.